The 2013-14 season of Musical Ecologies continues Thursday, October 10 with a collaboration between poet Steve Dalachinsky and sound artist Carver Audain. Calling themselves Ban(ne)d Books, their duo was initiated in 2012 at a party, on a whim, and their performances merge Dalachinsky’s dynamic and enlivened readings with Audain’s contribution of spontaneous vocal processing and sonic textures. Their meetings nod towards mood aligning ephemera. Matthew Shipp and Roscoe Mitchell. His 1999 CD, Incomplete Direction (Knitting Factory Records), a collection of his poetry read in collaboration with various musicians, such as William Parker, Matthew Shipp, Daniel Carter, Sabir Mateen, Thurston Moore and Vernon Reid has garnered much praise. His books include A Superintendent's Eyes (Hozomeen Press 2000 – reprinted in an expanded version in 2013 by Unbearables/Autonmedia), Musicology (Editions Pioche, Paris 2005), In Glorious Black and White (Ugly Duckling Presse 2005), and PEN Oakland National Book Award winning book The Final Nite (complete notes from a Charles Gayle Notebook, (Ugly Duckling Presse 2006). his latest cd on Dark TreeRecords (2013) is The Bill Has Been Paid, a duo with bassist Joelle Leandre. He has read throughout the N.Y. area, the U.S., Japan and Europe, including France and Germany. He writes for the Brooklyn Rail as a contributing writer and is active in the mail-art circuit & has shown his collages in various N.Y. galleries. Carver Audain (b.1981) creates immersive sonic environments using digital signal processing and editing techniques on a variety of environmental and instrumental recordings. His recent work explores harmonic structures utilizing the “slow change music” method. In a live setting, he arranges and manipulates this material into situation-specific compositions. Sonically, he produces an array of gradually shifting sound fields that merge and transform within their physical surroundings. 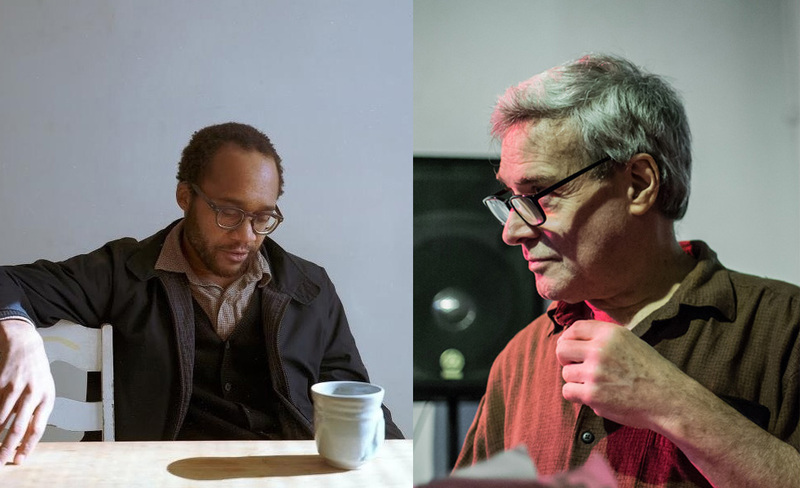 Upcoming on Musical Ecologies: Travis Just (11/7) Michael Lowenstern (12/19); JD Parran (1/9) and Stephanie Loveless (2/6). Comments closed — Trackbacks closed RSS 2.0 feed for these comments This entry (permalink) was posted on Tuesday, September 17, 2013, at 4:59 pm by Dan Joseph. Filed in press release.